The Laman Outreach Board of Directors. Pictured left to right. Top row: Rob & Shae Lawson, Paul & Emily Bell, Caleb & Laura Ray. Bottom row: Larry & Denise Woods, Kim & Stew Rumley. Rob Lawson: "I have spent the last 15 years in engineering and program management of developing technologies for the Military. I bring the skill of effectively managing multi-layered tasks to accomplish big goals to the Laman Outreach Board. My passion for Haiti was kindled when I visited the country in 2016 and fell in love with the caring and resourceful people." Shae Lawson: "With nearly 15 years of marketing and communications experience in various sectors, I bring a unique perspective to the Laman Outreach Board. My years spent in the nonprofit sector working for a social services organization gave me a broad understanding of fundraising, event planning and the importance of cultivating an involved and caring audience to carry out a mission. I thank God for the opportunity to join Laman Outreach in assisting and sharing hope with some of the most vulnerable individuals in Merger de Sibert, Haiti." Paul and Emily Bell: "Paul works for Genesys Telecommunications as the manager of revenue accounting. Emily works for American Health Network as a family physician. We accepted positions on the Laman Outreach Board because of our excitement about what the Lord is doing in Haiti. We have served in Haiti in various capacities through our church and Lifeline Christian Mission. We hope that our skills and experiences will be very helpful to Laman Outreach both at present and as our ministry grows." Caleb Ray: "I am the President and CEO of a gift retail and wholesale company offering thousands of products to consumers and retailers across the globe. The Lord has given me a desire to use the skills he has given me in business to advance His kingdom here on Earth. Through the stories of multiple friends working in Haiti, I feel led to attend to the needs of Haitians and opportunities to see God glorified in Haiti. I am excited to do this through Laman Outreach." Laura Ray: "I thoroughly enjoy waking up each day to love on and serve my family well as a stay at home mom. I decided to join Laman Outreach because of friends' personal stories about their serving in Haiti and to answer the Lord's calling to assist those in need. I am excited to see what the Lord has planned for this ministry." Larry Woods: "Having been to Haiti many times since 2011, I love the people and want to use my time and resources to help them fulfill their passion to care for one another spiritually and practically. My occupation as a business development professional is a vehicle that allows me to invest in the Haitian people. The opportunities to help Haiti are nearly limitless and I look forward to being part of the great work of Laman Outreach long into the future." Denise Woods: "The Lord has given me a passion for the country and people of Haiti since my first trip there in 2011. Six years and many trips later, I am still fascinated with the culture, pained at the poverty and amazed at the resilience of the people I know and love in Haiti. Through Laman Outreach, I am delighted and humbled to be able to come alongside the Haitian people and help them fulfill their God-given dreams and plans for their lives." Kim Rumley: "I am a stay at home mom and Co-President of Laman Outreach, Inc. - two amazing full time jobs. With a degree in Education, experience in both the public and private school sectors, and the opportunity to have worked as an educational consultant for a large non-for-profit, I pray that what I learned in each of these areas will benefit Laman Outreach. I am blessed to have traveled to Haiti four times over the past three years and even more so to have the Lord impressing upon my heart His desire to love on His people there. 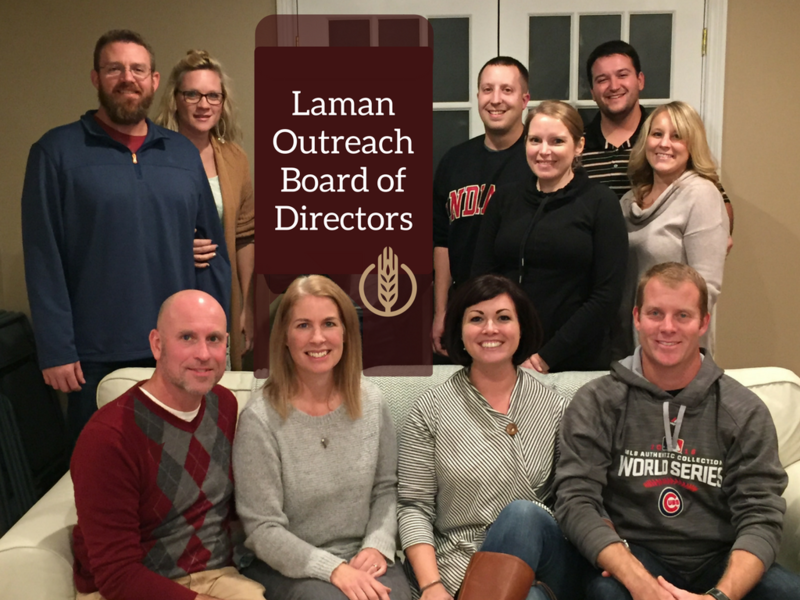 I am incredibly humbled by my position as Co-President of Laman Outreach and equally as excited to sit on the Board of the Directors with this amazing group of people." Stew Rumley: "For the past ten years, I have been a pilot, flight crew trainer and mentor for newly hired employees at Republic Airways. My profession continually refines my logistical and interpersonal skills, skills that I found imperative during my multiple mission trips to Haiti. From what my eyes have seen and my heart has felt while in Haiti, I am convicted to live out James 1:27, 'Religion that is pure and undefiled before God, the Father, is this: to visit orphans and widows in their affliction.' and I believe that Laman Outreach will afford me the opportunity to do this.'"